DO NOT BUY UNLESS YOU CAN COLLECT!! 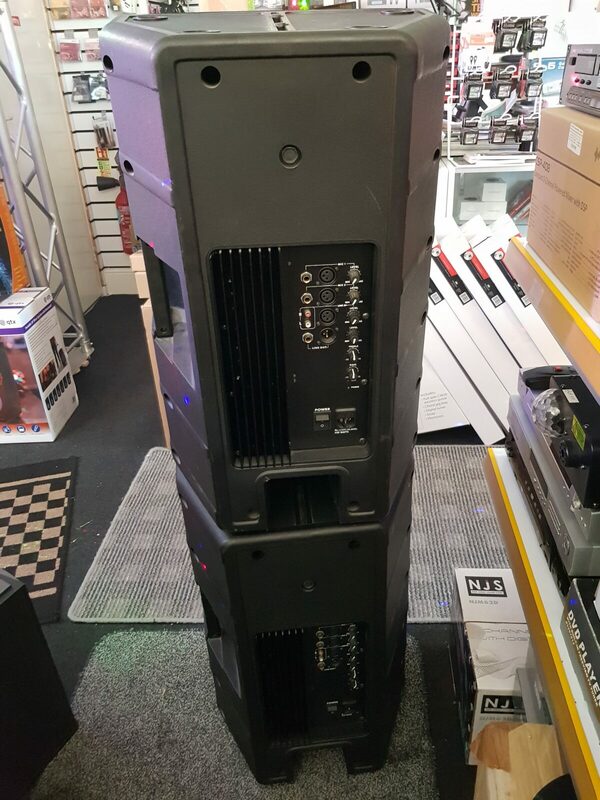 The Bogey-Amp 15 inch Active Speakers 450 watts each, are 2nd hand units in great condition and sound very nice! 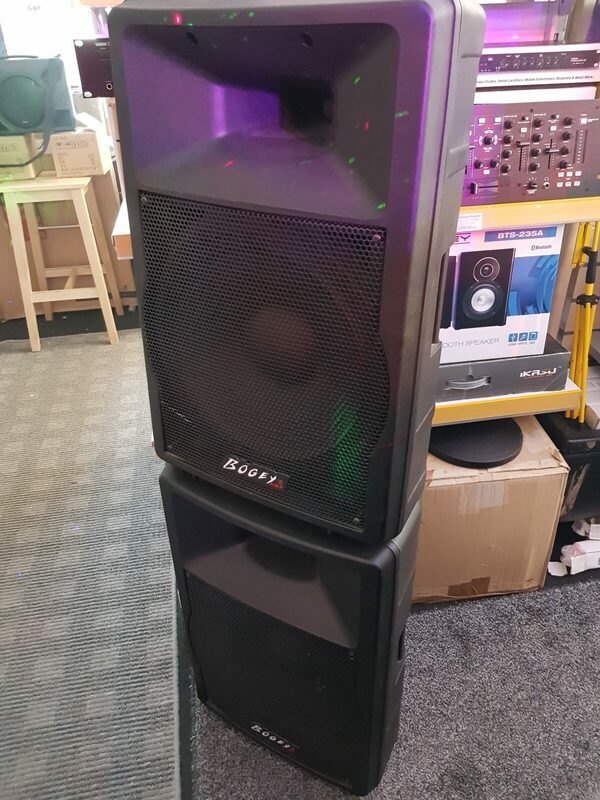 Thumping Bass and crystal-clear tops, they will certainly be enough for any small to medium venues! Viewing and full testing is recommended to appreciate the sound these speakers kick-out. Casing is in good condition. We are selling these as a pair; no original boxes or manuals. Collection only (too expensive to ship as they would have to be palletised)! 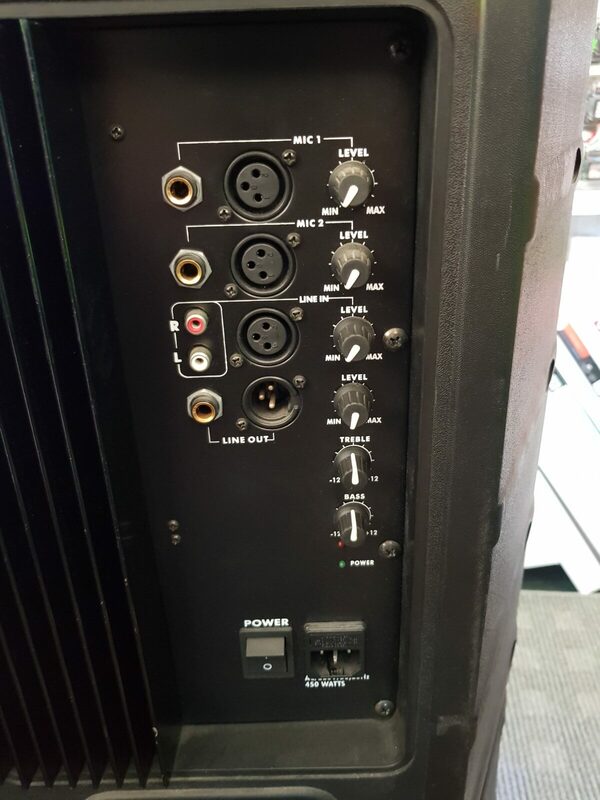 Our Music Shop at 19 Freeman street, Grimsby UK can give you a full demo; so come along and have a look and a listen and without any obligation to buy! 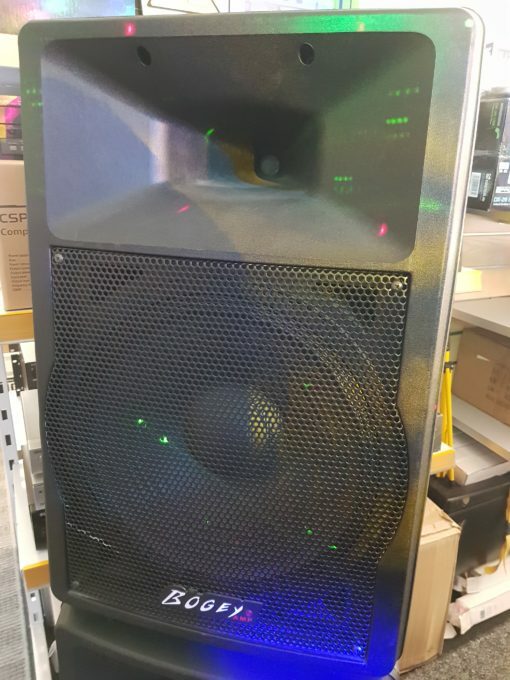 For any Questions about our Bogey-Amp 15 inch Active Speakers 450 watts each; or for Prices on delivery to the EU please contact us. Or; why not visit our Facebook page and follow us? You can see ALL the latest info as it happens!